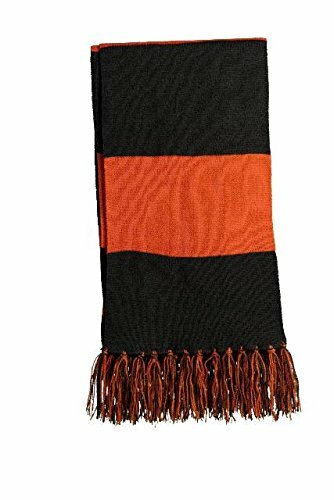 Style #: STA02 Cheer on your favorite team in this fringed scarf. Coordinates with our Spectator Beanie (STC20 sold separately) and Spectator Gloves (STA01 sold separately). 100% acrylic Dimensions: 61" x 8"